The Financial Secretary, Mr Paul Chan, today (April 9, US West Coast time) conducted the second day of his US visit in Seattle. He called on the senior management of innovation and technology (I&T) enterprises as well as a related organisation to explore more I&T collaboration between Hong Kong and the US. 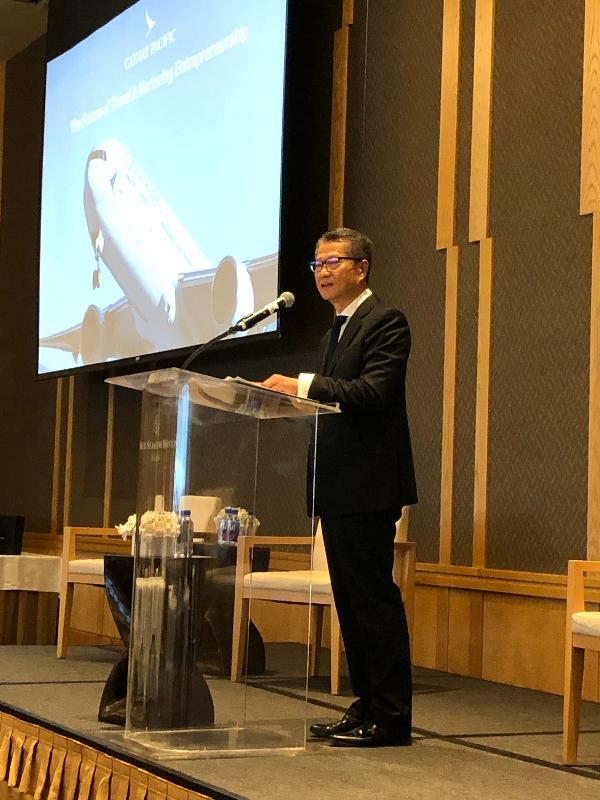 Before the meetings, Mr Chan addressed a business seminar organised by Cathay Pacific Airways Limited. He updated the business representatives in attendance on the city's latest I&T developments and the series of initiatives launched by the Hong Kong Government in developing I&T infrastructure, supporting technology enterprises and pooling relevant talents. Mr Chan added, "The Greater Bay Area is expected to rise as an international I&T hub, connecting the region's upstream, midstream and downstream sectors. And that can expand the opportunities for Hong Kong – and the companies that work with us." 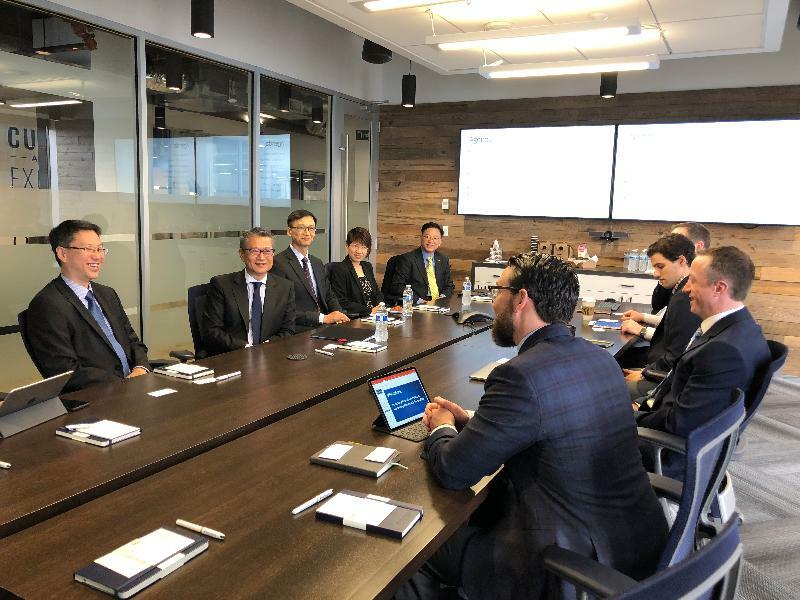 He then met with the senior management of PitchBook, a large financial data and software company, to deepen his understanding of the financial sector's use of data and to exchange views on the future of fintech. The company, with offices in Seattle, London, New York and San Francisco, provides financial market data to global business professionals. Mr Chan pointed out that there are currently more than 550 fintech companies in Hong Kong. The Hong Kong Special Administrative Region Government will continue to keep up its efforts to provide a conducive environment for fintech companies to develop their business. 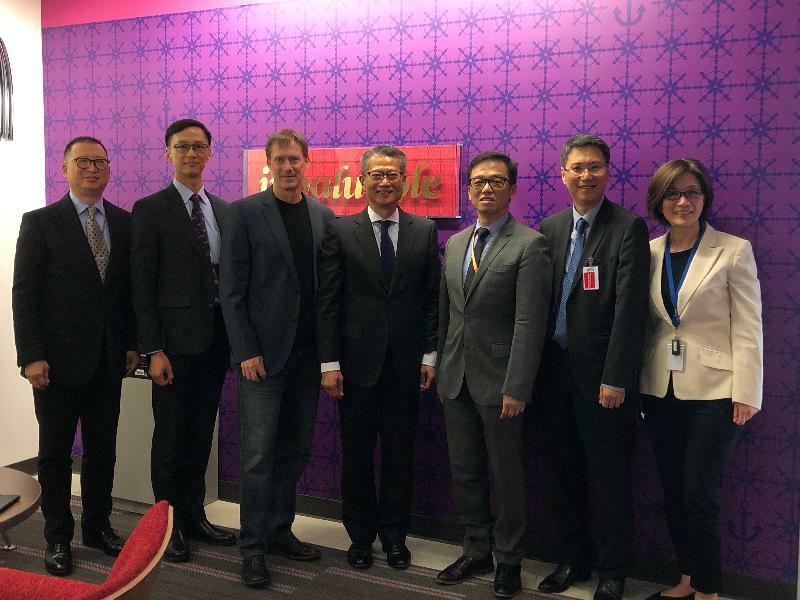 At the subsequent meeting with the senior management of Amazon Web Services, Mr Chan said that with its world-class information technology infrastructure and a deep pool of professionals, Hong Kong holds advantages in becoming a regional data centre hub. He said he was pleased to learn that Amazon is going to set up cloud infrastructure in Hong Kong and welcomed the company to further expand its business presence in the city. In addition, Mr Chan had lunch with the Board of Directors of the Washington State China Relations Council (WSCRC). He gave them an update on Hong Kong's latest developments, and underlined the important role of Hong Kong in the development of the Greater Bay Area. He said he hoped that the WSCRC would continue to connect enterprises and related organisations of both sides to take the co-operation in a new direction to seize the development opportunities in the Mainland. The WSCRC is a non-profit organisation that promotes stronger commercial, educational and cultural engagement between US and China. Its membership comprises more than 100 companies, financial institutions, municipal governments, higher education institutions and cultural organisations. In the late afternoon, Mr Chan headed to San Francisco to continue his US visit.